Clean copper surfaces, more precisely: shiny copper with the largest possible surface areas are a significant requirement for the highest distillate quality. We provide the suitable cleaning technology. Each individual fine distillate base can be equipped with rotating high-performance full-space nozzles. 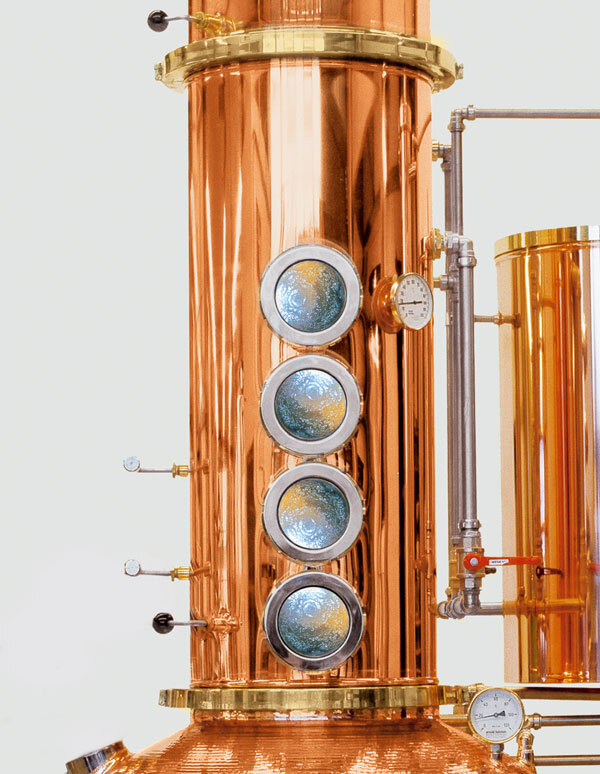 Integrated cleaning units in the helm and in the still also ensure the copper is shiny thereby creating the conditions required for the full unfolding of an authentic aroma. Only in this way can undesired acids, cyanides and ethyl carbamate, which occur particularly in stone fruit mash, be effectively bound. The integrated high pressure rinse enables effective cleaning of the entire distillation unit. Option to clean with hot water or detergents. Operation of the cleaning system is very simple.